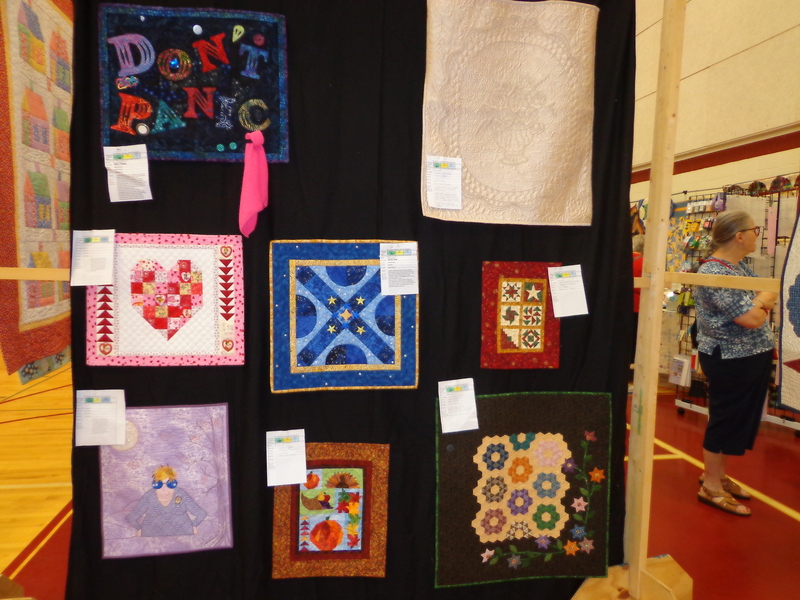 We had our local quilt show, and as one of the “young-uns” (20-30% of the <40 group set or so) I took off 3 days of work to help with the show in all the forms I could think of to help out. Prior to the show I was SOOOO BUSY! One of the days was “catch up on all my projects day” where I put in movie after movie, and hand sewed sleeves down (I did 3 running stitches in the sleeves across the length of my quilt). I also measured fabric to give away for the garage sale (which did much better than the silent auction pieces as a whole). Problem is I pretended I was still in college and parked myself on the floor and watched the movies, working on the floor, and by the end of the day on my ‘rest day’ my back was hurting – don’t do that, I wasn’t thinking right. I also got the binding hand sewed, the two sleeves hand sewed to the auction quilt, hand sewed the label for the auction quilt, safety pinned the labels to the rest of my quilts, wrote up the descriptions for each quilt, embellished the little star quilt a lot with iron on pieces, bought fruit, cut up fruit, found my tripod, probably a few other things as well. That was all done on my catch up day and catch up week. Before the show. 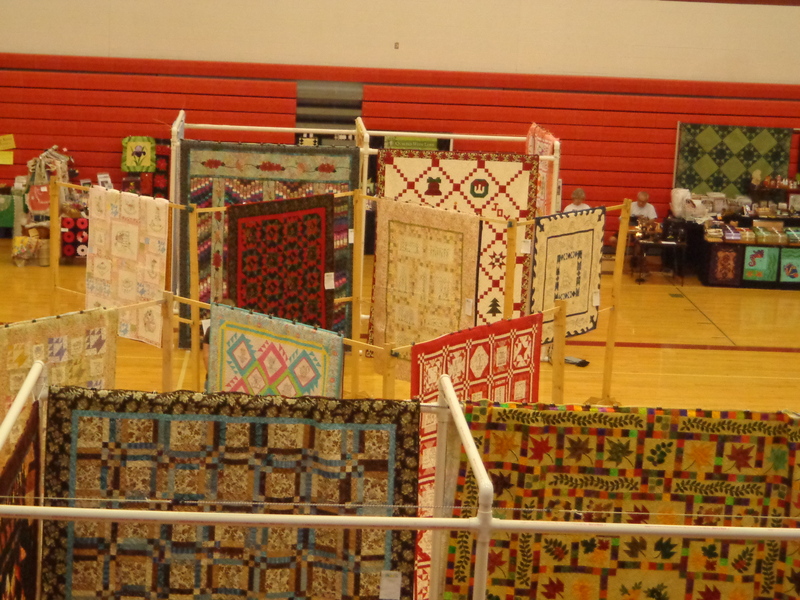 Our quilt show is held in the gym of a middle school which is found on the lower level from the ground floor. So every trip to go down to the show itself was walking up and/or down the stairs, or occasionally taking the elevator with carts and such. There were a few hiccups in the show. One vendor didn’t pre-order tables and showed up w/o and they got it straightened out eventually. There was sandblasting in the hallways & rooms adjacent to the elevator and there was rumor that we weren’t going to be allowed to use the elevator at all for the first day, which meant we didn’t put out signs to go to the elevator. We did decide to keep the door leading to the elevator locked for that first day and to unlock it when someone who needed the elevator would need to attend the show, but it wasn’t widely publicized due to the sandblasting going on. It was an okay solution, but unfortunate that the timing was such that it happened on the same weekend. Saturday it was less of a deal and the doors were left unlocked. 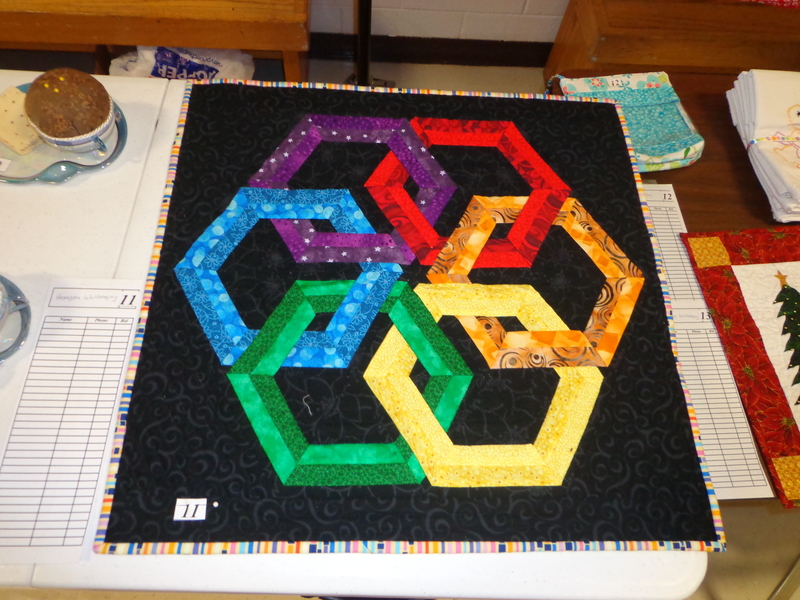 We tried a new show set up that instead of every quilt needing sleeves, we tried using binder clips and clipping together two quilts at once that were similar in size. But we were unpracticed at this, and decided next time that we needed to receive the quilts in the lower area (all the binding and clipping and sorting was done in the hallway upstairs with limited space to put the quilts), our arms dangling in the air holding back-to-back two quilts, trying to fold them all up trying not to drag them on the floor too much. And then I would run downstairs with 2-3 quilt groups in my hands. At least for a while. I was exhausted. We figured out a better strategy for next year and I hope we remember this then. 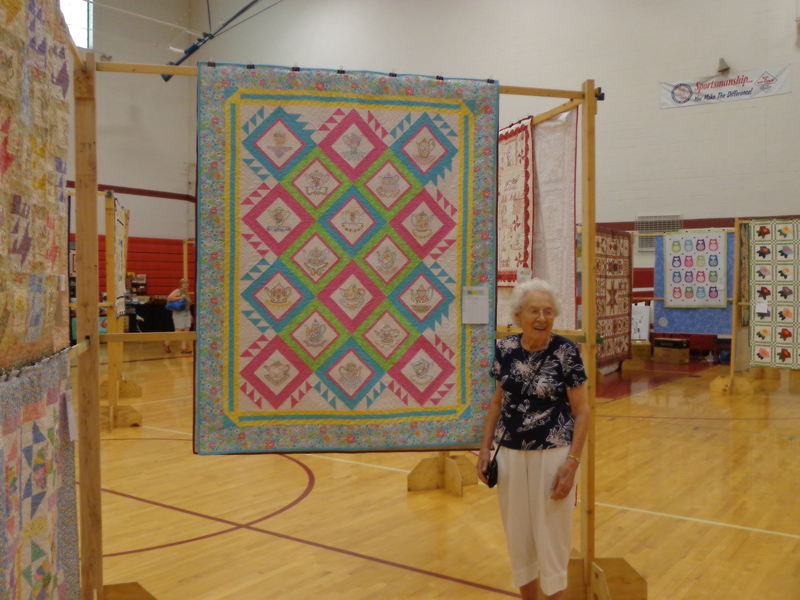 And the featured quilter who has many of her quilts in the show from years past, a show tradition of ours, she did not have a special tag for her quilts compared to the other quilts, and so her quilts were put into the viewers choice along with the others. Which is okay, but maybe they’ve already had a chance to win at other shows??? Perhaps a different type of tag for the featured quilter would have been more special & appropriate, showing to the community that these quilts were specifically set apart from the others, to honor her more, and to keep more recent quilts in the show being judged against each other??? Just a few thoughts on that. A few ladies had some health issues that kept them from being able to participate when they originally planned, (they came later) and a couple of no-shows (scheduling or other conflicts), but a couple of “how can I help you’s”, and “let me help you with that’s” happened as well. And we really needed to reorganize our viewers choice categories. 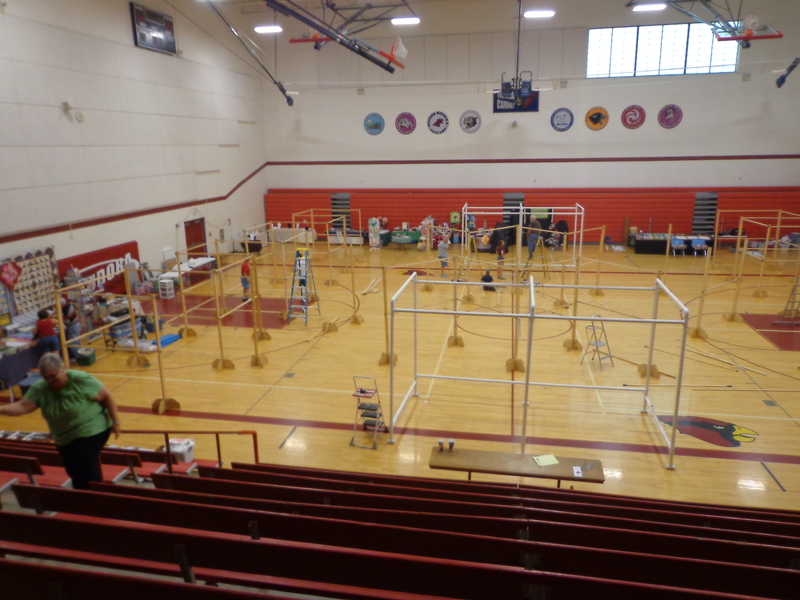 We had twice as many small quilts as we had other sized quilts, and so there were like 65 quilts competing against each other in that category compared to 30 competing in the other two categories. One was a little disorganization on my part not having a calculator the first hour I was working the garage sale, and for the life of me I couldn’t add or keep count. Two was when I had only half the “still pictures” of the quilts taken with my tripod & point & shoot camera on the first day, and then I did NOT proceed to charge my camera battery between day 1 and day 2 of the show, and before I knew it on the 2nd day battery was low, so I ran home for my charger to get the last 12 pictures taken later in the day. And the very last hiccup was last 15 minutes of the show when I was trying to take pictures of my personal quilts set against the plain black sheet background sheets. The earlier pictures were done with all the “quilt tags & descriptions” on the quilts, and before I left, I was personally taking the tags off, getting a nice centered picture, and then putting the tag back on. I was on my very last picture, the Don’t Panic quilt, and somehow when I took the tag off, it pulled the top of the sheet a little bit, which removed the binder clip a little bit. I tried to move the sheet some more to fix the issue, and then I heard, “snap, snap, snap, snap’ and before I knew it both sheets back to back were on the gym floor, including all the mini quilts (most of which were mine actually). Luckily the show was 5 minutes from being done, so I was able to speed up the ‘quilts coming down’ process on those 10 quilts or so. Well I know I don’t have a ton of “full on” pictures here (this part of the post), but I wanted to share the setup stuff that happened about a week ago or so. Then I’ll pick & chose more pictures from the show to share with you in later posts. It took about a half hour to transfer all 350 pictures from my camera (no wonder I ran out of batteries!) Bye for now! 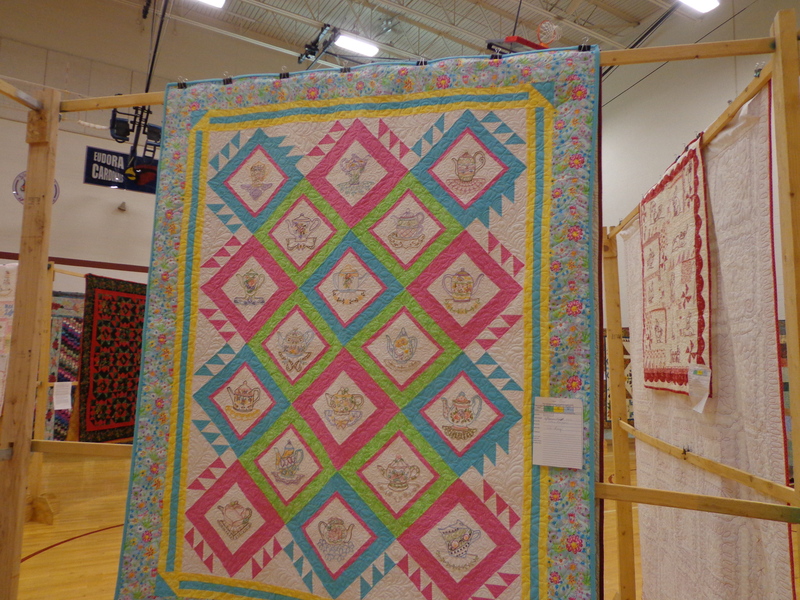 I am always floored at the work that goes into quilt shows. 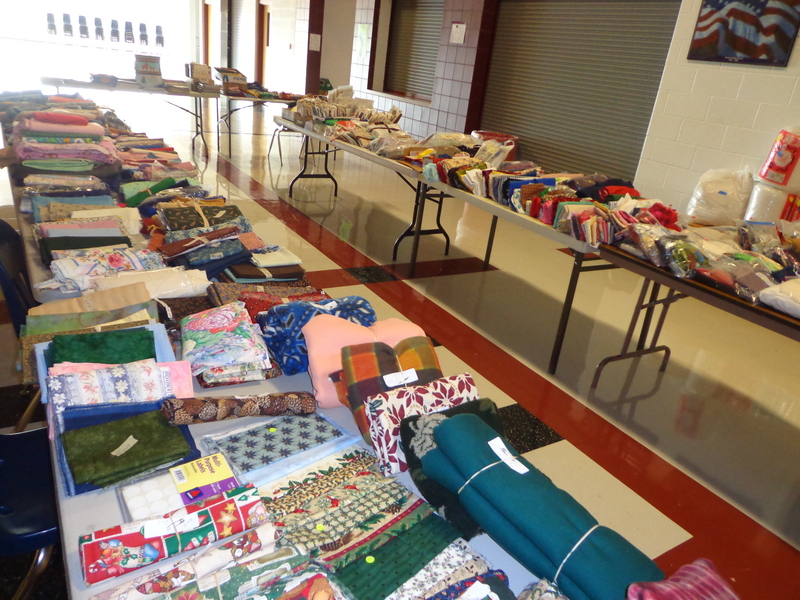 I have benefitted from so many woman hours (and man hours) at various quilt shows and I really need to find a way to pay it forward. You are amazing! That looks like a really good show. You threw yourself into it for sure. Thanks for the behind the scenes set up info. 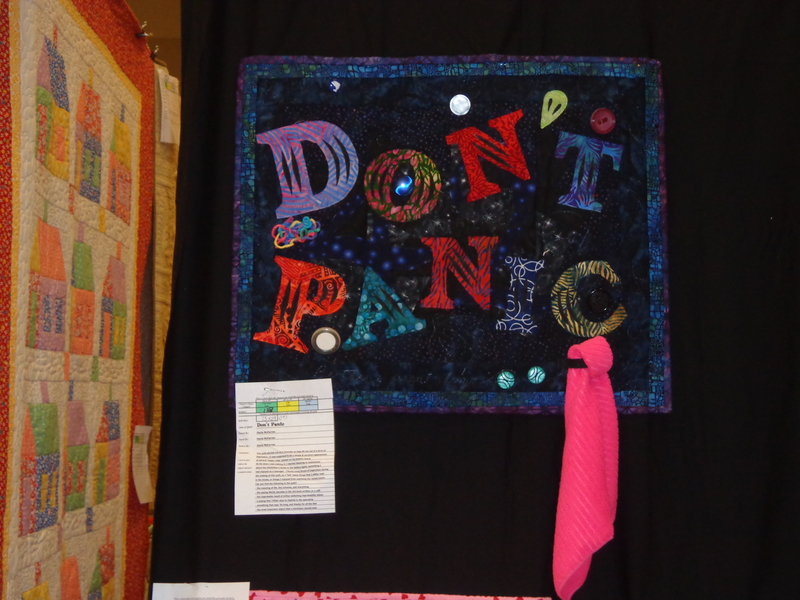 Don’t Panic is my favorite quilt of yours that I’ve see. Each time I see it, I like it more!